Share this product and receive a $2.69 sharing discount. 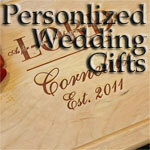 Add a vintage touch to your home’s décor with this personalized canvas print OR give a special family a special treat! The unique style blends elements of vintage nostalgia signs with modern text fonts to create the perfect conversational décor piece. 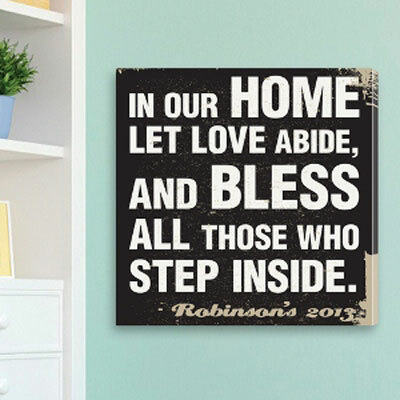 Designed in black and white with vintage textured details, it features a simple home prayer that can be customized with your family name for a customized canvas print that is both stylish and inspirational. Add up to 15 characters for name and 4 digits for the year. Measures 14" x 14" x 1/2".